Anyone who knows me knows I love the color black. My wardrobe is filled with the color black…..
And I love decorating with a touch of black. It’s been said that every room should have just a splash of black and I would have to agree. As I visited the wonderful blogs at last weeks Thursday Favorite Things Link Party I fell in love with a few shares featuring my favorite color. 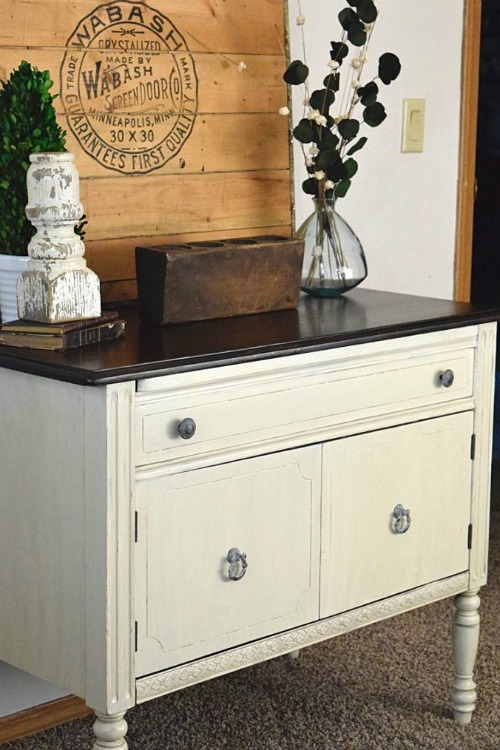 The Mother – Daughter Duo from Timeless Creations, LLC is at it again with this fabulous Run-down Sideboard turned Bright Beauty. I love how they have used the cream color and topped it with the dark black-brown.When you view what they started with you will be in awe. If you are anything like me, you love browsing through the pages of the Pottery Barn catalog. Finding all of the gorgeous pieces they feature is so inspiring. Patti of Old Things New created her own Pottery Barn look with this wonderful Pottery Barn Look for a Sweet Trestle Table. Didn’t she do an amazing job with this transformation? And now we need a special look to add to the table and these two wonderful tablescapes will do the trick. 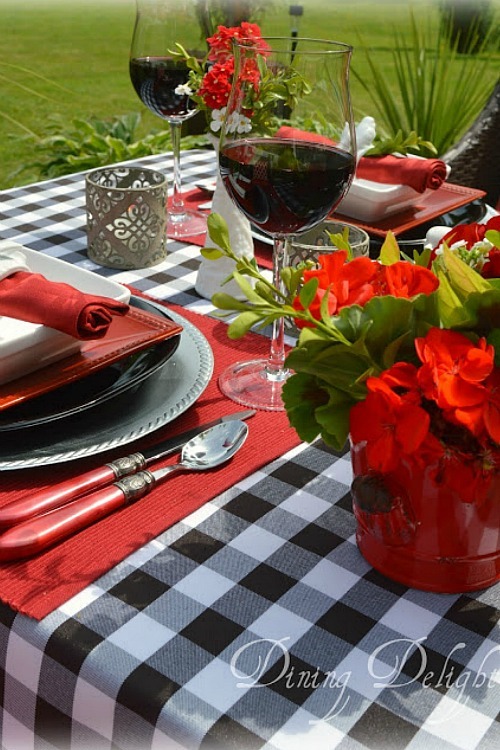 Let’s start with the wonderful red and black combination used by Lori of Dining Delight as she created this wonderful Summer Tablescape in Red, Black and White. Such a bright summer look! 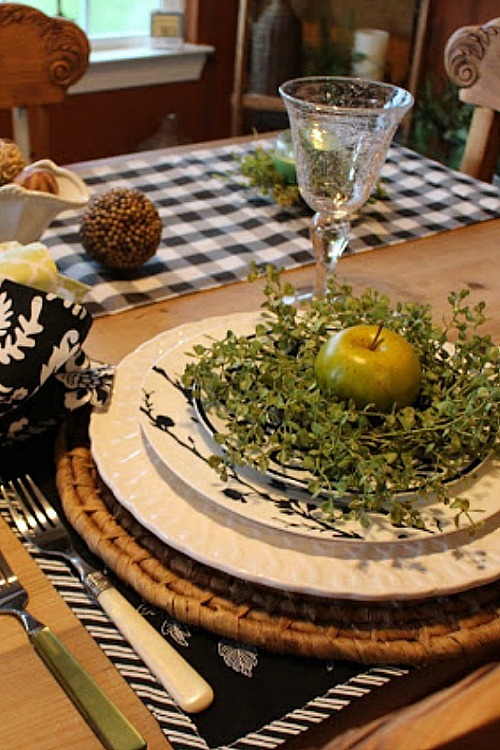 And I love the colors used by Pinky of Designs by Pinky as she combined three of my favorites – Black, White and a Touch of Green at the Table. Don’t you just love how fresh this looks? What about you? 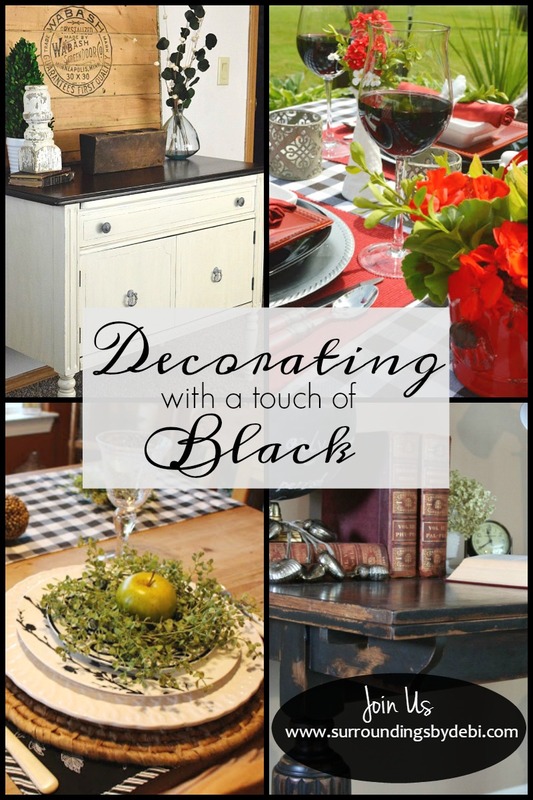 Do you use black in your decorating? 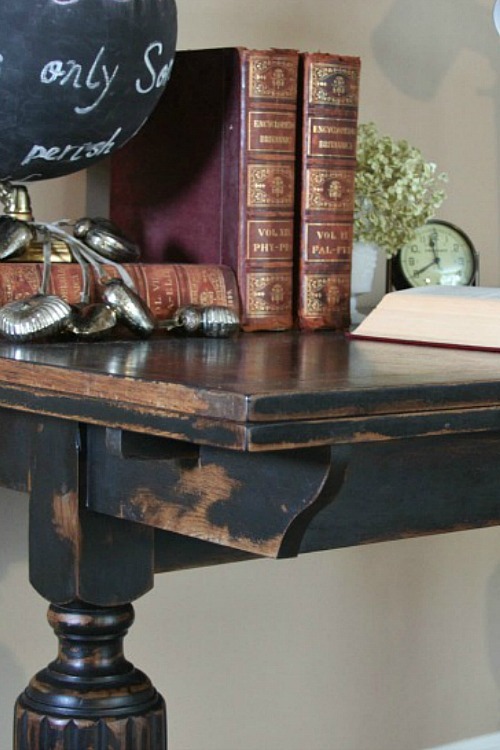 Or do you have another signature color you incorporate in your own personal decor? 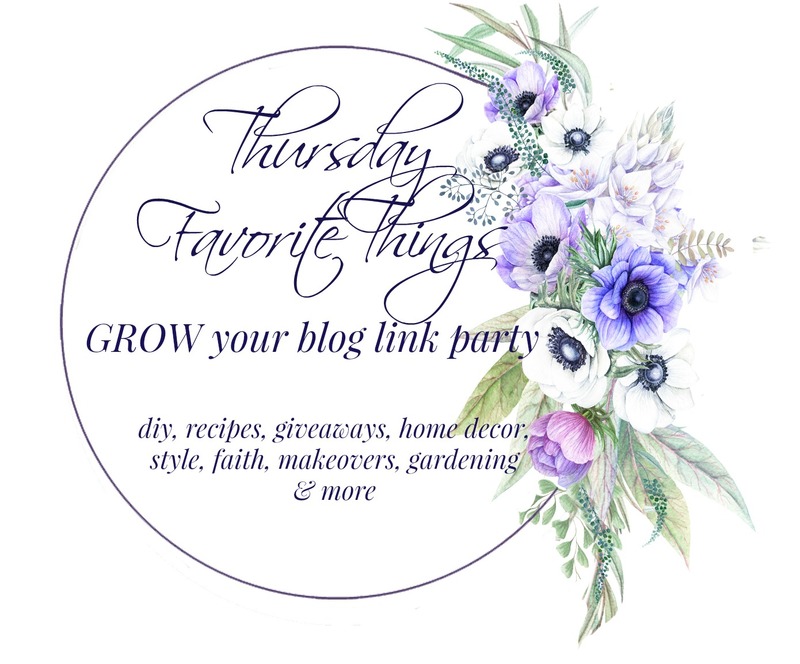 It’s time for another great party as we prepare to be inspired at the Thursday Favorite Things Link Party. I love it when you join us each week as we party and share at the best link party in blog land! So fun to see my Summer Tablescape for two featured here! I am flattered to be chosen from among so many terrific links! I am grateful that you highlighted my post and that you host this party each week! Thanks so much!